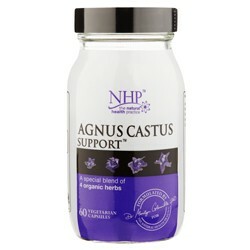 I have a lot of women send me links to Agnus Castus products and ask if they are at the right dosage. It is very difficult for me to judge because they doesn’t seem to be a standard way of reporting this. Some labels talk about extracts and others talk about accubins, others whole herb. My advice is always the same however. 1) Contact the company and ask them how their Agnus Castus compares to the 20mg standardised extract used in clinical trials. If they don’t bother to reply, then don’t bother to buy. 2) Be wary of wild claims about potency. You only need 20mg standardised extract (200mg approx whole fruit). PURECLINICA, for example, claims the most potent dose on the internet, however I have emailed them three times asking them to explain their dosage simply and clearly in relation to the standardised extract. They have never replied. 3) Avoid products that have Traditional Herbal Registration THR logo as they will be restricted to 4mg per tablet. Boots and Holland & Barrett have, but be wary of any high street product. On the internet HealthSpan are also only selling 4mg tablets. So where can you buy Agnus Castus from at a dose that will be effective? Unfortunately the choice is limited. Prime Health Direct sell 20mg tablets for £11.95 (180 tablets). I have taken these for a number of years and found them to be effective. They are competitively priced, but often they run out of stock, so can be unreliable. Natural Health Practice sell a food supplement of the whole herb (in capsule) 200mg called Agnus Castus Support. I have been taking these for just over 2 months and found them to be equally effective. They cost £19.97 (60 capsules). They are more expensive than Prime Health Direct, but they do contain black cohosh, skull cap and milk thistle. I also like the packaging and how you can actually smell the herb in the capsule – but in terms of effect I haven’t noticed a major difference between them and Prime Health Direct, although my last two cycles have been longer, 28 days rather than 24 – (but then I have also had some major changes in my life recently, which may also be the reason). – but it is certainly an alternative to tablets/ capsules. The product has a lot of positive reviews. All three companies I have linked to above spent time answering my questions and were more than happy to talk about their product and what the dosage actually means. Juliet, you mention to avoid the Angus castus with the THR logo, however the A. Vogel tincture does have the logo on the box – I know this as I just purchased some. Does this mean it won’t be effective? thanks for that info – I didn’t know that. I haven’t tried to the tincture, so my recommendation is only based on women’s comments on my blog. However, the reviews under the product do suggest it is effective – and the blog post about the tincture and dosage I did a while back suggests the actual dose (in tincture form) is higher than 4mg. I guess the only way to be sure is to try it at recommended dose and monitor effect. It would be great if you could trial it for a couple of months and then maybe do a blog post on here about what you think (happy to set this up). Let me know. Juliet, thanks for your reply. On my newly purchased bottle of A. Vogel product, it states “1 ml (33 drops) contains 895 mg of tincture from AC fruits (1:10).” Recommended dosage is 15-20 drops twice a day. If I take 40 drops per day, does this mean I am getting enough AC to be effective? The box does show the THR logo. Sorry to bother you about this, I’m just trying to do the right thing and don’t want to waste time taking a useless supplement. Incidentally, I have been taking AC for several months now but the A. Vogel tincture I was taking didn’t have the THR logo. When I started AC it took several weeks before I was feeling better and I don’t want to slowly backslide by taking something that is useless, have all the symptoms start again and find myself back at square one. based on the info in the post – 40 drops would give you just over 100mg of AC (the research suggests you need 200mg or 20mg standardised extract 1:10). However, the reviews under the product do suggest it is effective – so it maybe worth trying at this level first. Let us know how you get on. Hi Lauren. I don’t understand the dosage either. It says 340mg per capsule. but how that compares to the standardised extract is not clear. You could try emailing them to see if they can explain it. The other option is to try and them and see if they are effective. Le us know how you get on. I’ve had two bottles of Nature’s Aid for a while, which seems to be the dose you/the studies recommend and doesn’t show the licensing logo (THR? ), but I have been afraid to start taking it. However, I’ve just started my third period since coming off of Yasmin and am looking for something to help with the hormonal acne and terrible PMT I am suffering, as well as 36 day cycles. I’ve decided to go into Neal’s Yard tomorrow to seek a professional opinion on Agnus Casrus before I start taking it. Perhaps they can even tailor a doseage for me and maybe they’ll have some insight based on what they’ve recomended to other women in my situation. I thought it might be an idea to let you know so your readers could do the same if they have a Neal’s Yard / Naturopath they can visit. Your blog has been very helpful for me. Thanks. Thanks a useful link. Let us know how you get on. Thanks so much for this and the other posts you’ve written on Agnus Castus. I took it a couple of years ago and it revolutionised how I felt in the run-up to my period, but I was prescribed Prozac for depression a year ago and I didn’t want to mix that wi Agnus Castus. After initially working, the Prozac effect has petered out and I am beginning to notice a pattern in which I feel so low I even have suicidal thoughts in the days before my periods. I am going to seek my doctor’s advice but want to experiment with using Agnus Castus again with the long term aim of coming of Prozac and hopefully using AC alone. I remember last time I took AC, the advice was to take it daily for several days before your period, although the advice here seems to allude to taking it daily all cycle. Does it need to be taken every single day in order to be effective? Hi Jane, I take it every day and that works for me. Although I have read some websites that recommend taking it for 2 weeks running up to period. Let us know how you get on. Im so glad i found your blog was just about to order Agnus castus from boots!! is this a safe dosage to take. Have you tried these ones? Hi Adele, I really don’t understand the dosage and I can’t see any info on the packet to help me decipher it. It is listed as a food supplement, which may be a way of the company avoiding the legislation that restricts dosage called Traditional Herbal Registration (which is what Boots has hence why tablets no good). Certainly worth trying. Start with one a day and see how your symptoms go. Also see link at top of my page for other places to order from. Let us know how you get on. I have searched high and low today for sound, evidence based advice and information on taking this supplement when I have a past medical history of breast cancer which was positive for oestrogen and progesterone 11 yrs ago. I am now 43 and suffering from horendous PMS and desperate to try anything!! Ive just bought the Boots version today ( 4mg!! ) before I found your article. No one Ive spoken today knows enough about its use following breast cancer. Can YOU possibly advise me at all? Im awaiting a call back from my Gp. Publications concerning safety in special populations and situations were not found. for all patients with a history of oestrogen-sensitive cancer. I think you need to be cautious and look for evidence before deciding. Take care. Just found this research, which suggests Herbal preparations (including AC) protect against breast cancer in post-menopausal women. Not sure about pre-menopause. Hello, thanks for your helpful post. I am suffering the irregular menstrual cycle for a year, and recently found your post, then I checked the products for Agnus Castus, and I found this one (check the link). It says one tablet contain 100mg Agnus Castus berry extract, but refer to your does of 20mg Agnus Castus is it too much? 20mg refers to the standardised extract equivalent to 200mg whole herb. See the link at top of my page for where I get AC from. Thanks for sharing this post, I’ve just bump into your post as I Google-ed for pureclinica reviews, lucky not buying it yet. As you suggested for those product above and already try it. It has gain my confidence to buy, as so many product for agnus cactus that give me clueless. and also doing survey for 1000mg, it’s a big deal, as I wanted a herbal to be natural, if processed, must not to add other synthetic items or any drugs to proclaime high potent agnus cactus. I don’t want to risk the NHP one because Black Cohosh can put a strain on the liver and as I’m on a scary number of meds and my last bloods showed my liver was struggling I don’t want to make things any worse. Lots of luck with the Ed Psych training, I was a special needs primary teacher once and often wondered about doing what you are…so congrats as well as good luck. I have ordered from Herbs Hands Healing before and they have Agnus Castus at the strength you have been writing about. Hi sally, it is not clear what the actual dosage is on this. Is there more information? I have not spoken to the herbalist at Herbs Hands Healing but there is an advice line to call – becauses of regulations they cannot tell you the dose, only advise. I did call the herbalists at Neals Yard though, because they also sell the tincture in a 1:2 ratio and she was able to quote from a published book – the advised dose is 1-2.5ml per day – so that’s up to 1/2 teaspoon a day. I think Mumsnet have some threads on it. Yes. I think so. Some women claim it helped. But I would do your research. Good luck. Hi Jullie, If it has the THR logo then it will be too low to be effective. Hi Juliet, I have been taking Good ‘n’ Natural Agnus Castus (400mg) from Holland and Barrett for the past year and a half.When the new EU regulations came out and Holland and Barrett stopped selling these I bought as many bottles as I could afford at the time. I believe that taking these supplements has changed my life. I used to suffer from severe PMT and my symptoms have all but disappeared since I started taking Agnus Castus. I am now nearly finished my last bottle and am beginning to panic about finding a replacement that will be as effective as my ‘old brand.’ You mentioned earlier in your blog that 20mg dose of Agnus Castus should be effective. I have been used to taking between 2 and 4 400mg capsules daily. If I buy the Prime Health variety that you recommend, do you think I will need to take 2 a day to give me the same effect as my old capsules? Hi there – sorry to be another person asking for dosage advice but I’m no great shakes at maths and I’m stumped. So I have a 33ml bottle of Natures Answer Agnus Castus tincture (they had pill form in the health food store but it was the 4mg. It says ‘From 1000mg vitex’ on the front. Take 1 or 2 ml per day in a little water. May be increased to 1-2ml up to 3 times daily if needed. Vitex-Agnus Castus berry extract 120mg/ml, max daily dosage 720mg. Is 720mg a decent dosage? And do we know of anywhere we can buy larger quanities, given that I’d blow through this 33ml bottle in 5 and a half days at that rate? Thanks so much – I had no idea my bog standard Holland and Barratt pills weren’t worth anything! you would only need 2 mls a day if the info is correct. Worth trying. Sorry I took so long to reply. Just wanted to share a reply I received from Fushi regarding the dosage in their Agnus Castus tablets and tinctures. They are basically saying that it’s impossible to ascertain the equivalent of standardised active ingredient when dealing in whole herbs and that whole herbs have a synergistic quality that can’t be quantified, which does sound like a valid argument to me. Any thoughts? Our tinctures are high strength, at 1:2 ratios, which is the herb to water ratio and the alcohol content is 25%. This ratio is the maximum strength that can be purchased online. The alcohol used in the tincture is from sugar cane which allows the product to be certifiedorganic.We suggest a dosage of anything between 1-5ml three times daily mixed with either water or juice. Understanding the strength of the tincture: 1 ml of the tincture contains 500mg of the herb. Therefore 5ml of the tincture contains 2500 mg of the herb. So if you are taking a dosage of 3 x 5ml of the tincture per day then that will equate to 7500 mg of the herb. Obviously this is a very general recommendation and suggest that for a more personalised prescription you seek the help of a fully qualified herbal practitioner. Unfortunately there is no straightforward answer to your question. In whole herbs the active ingredients will vary batch to batch. It is not possible to say how exactly our tincture compare to a standardized extract due to the following reasons. The chemical makeup of a herb can vary slightly, depending on a variety of factors. First, the environment in which the plant has been grown has an effect on the constituents of the herb. The time of year it is harvested, the soil in which it is grown, and the weather all influence the overall quality of the final product. Second, methodology plays a role. For example, the age of the plant at harvest, the exact part of the plant being used, and processing techniques can all make a difference. Finally, each plant or population of plants has its own individual genetics, thus adding another source of end-product variation. A standardized herbal extract is a herb extract that has one or more components present in a specific, guaranteed amount, usually expressed as a percentage. The intention behind the standardization of herbs is to guarantee that the consumer is getting a product in which the chemistry is consistent from batch to batch. This practice has developed out of the drug model of herbal medicine, in which modern scientists have attempted to identify the components of a plant that have definite pharmacological activity in the body. Unfortunately, while scientists can isolate many constituents from a herb and discover how particular chemicals may act in the body, they inadvertently remove or overlook components that may contribute to the activity of the whole herb. Consequently, standardization may concentrate one constituent at the expense of other potentially important ones, while changing the natural balance of the herb’s components. Standardization, therefore, is based on the idea that isolated compounds are responsible for the action of a herb. Almost no medicinal herbs, however, are known for just a single function. In fact, plants contain a complex blend of phytochemicals, and as naturally concentrated foods have the unique ability to address a multiplicity of problems simultaneously. The full medicinal value of herbs is most likely due to their internal complexity and to the interactions of the different components within the body rather than to one of its specific components. Furthermore, many of the constituents within an herb are as yet unknown, and internal chemical interactions within and among herbs are even more poorly understood. Therefore, it is doubtful that this type of standardized herbal extract can exhibit the same full spectrum of use as the whole herb. Thanks for this Sophie. I do get what they are saying about whole herb and standardised – but I do think it is possible to give a range e.g. 2omg is equivalent to approximately 160mg – 240mg of whole herb. There tincture sounds very high if 1ml is 500mg. Hi I bought some AC from Holland and Barret a while ago old stock but still in date. It reads 100mg Agnus Castus but then says equivalent to dried berries 1000mg and to take 1-2 a day. If I take 2 does that not mean I’m taking way too much? Hi Kelsey if it doesn’t have a THR logo then assume 100mg is approximately 10mg (standardised) therefore two a day should be OK. I was so happy to find your website. I have PMDD :'(. I am hoping that Agnus Castus will work for me…who knows. I was wondering if you know how it would work for someone who has very regular periods? I don’t know what to do anymore. My gyno wanted to put me on BC or SSRI, but I want to be natural. I eat fairly healthy and try to lead a healthy lifestyle but apparently that isn’t enough. Its such a shame that pmdd is devastatingly underfunded. I think I am going to try the AC- it will take some research to figure out where to get it and at the proper dose. I look forward to hearing back from you. Thank you! Hi Juliet. I’m just leaving a comment to mention that I’ve been seeing a Medical Herbalist here in Leeds. I was diagnosed with ovarian cysts earlier this year after coming off the contraceptive pill in 2014. I then went back on it in June because I couldn’t control the hormonal acne and was due to get married in September. I’ve now stopped taking it again as we look to start a family and am trying to make the transition smoother with regards to my skin. I also don’t want to rely on the pill to treat my condition/acne. Anyway, the herbalist has given me a tincture which includes Agnus Castus, amongst other herbs, and I’ve been taking it for two weeks now. I just thought it might be an idea for you to mention that seeing a herbalist is an option for women who seek your advice/are looking to try Agnus Castus, especially if they are confused by brands and dosage! Hi I don’t know if it is worth trying but I too suffered hormonal acne. I tried so many creams, soaps etc nothing helped. I wanted to come off of the pill as my husband had the snip and I didn’t like the side effects of the pill. I did a lot of research to try and find something that would help my acne. After a lot of searching I read an article about probiotic tablets helping acne. I’ve been on them for about 4 weeks now and within 3-4 days of taking them my acne was 80% better. Now I still have the odd spot but my acne is gone.! Hi, thanks for that. It’s really great that you found a solution. I was taking high grade probiotics for over 6 months – and also seeing a Naturopath/taking other supplements, but it didn’t seem to touch it. The cysts are the root of the problem it seems and I’m now working on balancing my hormones and getting my pituitary gland doing its job! Thank you for sharing. How do you find a ‘good’ herbalist? Is there a register? “New legislation came into force in April 2011 that requires many herbal products to be registered as Traditional Herbal Medicines. Lamberts® is committed to registering all our important herbs as Traditional Herbal Remedies (THR’s), and this lengthy and complex process is well underway. But it’s 2016! 😀 How fresh can their batches be at this point, I wonder… Does anyone here have experience with Lambert’s? I do remember the brand from my previous round, but went with Australian Blackmores then (which seems to be potent still but is currently out of stock, of course). the product doesn’t show on the site anymore? That is strange. I can see the heading Vitex, but can’t actually see a product. are you in the UK? But you’re right, I’m not in the UK, maybe that’s a factor. However, I am in an EU country with the same regulations applying. It must be to do with the legislation, but the fact I can’t see it in the UK suggests it is pre-legislation dosage. 2 would be fine as research has not shown any poor effects from 40mg – however most research shows benefits with 20mg. Definitely start with one and see how you go. Any thoughts on Bio Health Periagna AC fruit (400mg) capsules? They have the THR logo on them, which means each tablet can only contain 4mg. You would need 5 a day. Don’t buy.